More than 12 years ago, Cobb County-Marietta Water Authority tasked Duffey to develop a community relations campaign that would educate area residents about the importance of water conservation and how it can easily save time, water and money. waterSmart was born and has evolved over the years, but one thing remains the same – it continues to teach Cobb County residents simple and effective water-saving techniques. 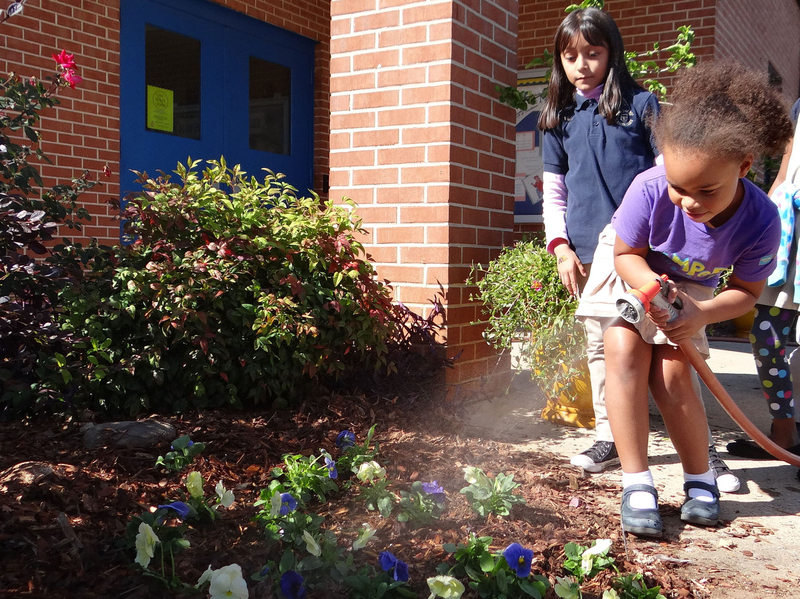 Recently, waterSmart team members visited Brumby Elementary School to help its Garden Club beautify school grounds. waterSmart donated dozens of colorful pansies and taught students how to monitor watering needs without wasting. And we had such a wonderful time helping the students! For our gardeners at home, please see the fall planting tips we shared with students to keep your own landscape waterSmart.